Here we are on the first day of a new decade, wondering where the last one went. It doesn’t seem as though ten years have gone by since we greeted a new millennium with fanfare, paranoia, and Robbie Williams songs. The decade ended much more quietly than it began, which parallels the peaceful contentment I’ve discovered during the same time period. I started the millennium as an enthusiastic twenty-five-year-old who was confused about careers and relationships. Ten years later, I’m happily settled with the love of my life, in a house of our own, with my own successful business. Allow me the indulgence to celebrate the last ten years of my life. At the beginning of the decade, I was 25 years old and a graduate student at the University of Virginia. I was living solo for the first time in my life, in an adorable apartment in Charlottesville. My companions were eight-month-old kittens named Janie and Roger. I was one semester into a graduate program in Instructional Technology. I had a fellowship to cover my PhD tuition, but I had recently decided not to pursue a PhD, and to stop at the Masters level instead. A life in academia wasn’t for me.That summer I spent a month on a cross-country road trip with my parents. We visited almost all of my extended family on both sides, and spent a couple weeks in Colorado. I would never have predicted that four years later I’d be living there. Our road trip: With my parents in Glacier National Park, and hiking in Chaco Canyon, CO. Forgive the image quality from these scanned film prints. I’m glad I discovered digital cameras three years later. In 2001, I got my masters degree in Instructional Technology and moved to Arlington, Virginia. I was living with a roommate in the Courthouse/Clarendon area, and falling in love with the constant energy of city life. My graduation ceremony. It was the second time I’d walked the UVA Lawn in a cap and gown. My parents, brother, and sister-in-law were there to cheer me on. I got a job as an instructional designer at K12 in McLean, Virginia. I developed educational software for children, specializing in phonics and language arts. I met some wonderful friends and really loved this job. I spent the summer of 2001 working insane hours as we prepared for the launch of the product in September. I didn’t care about the long hours; I loved the work and my colleagues. On September 11th, I watched the smoke from the Pentagon from my apartment window. Emergency vehicles screamed past my apartment all day. I ushered my cats into their carriers, packed my most important belongings, and prepared to evacuate if necessary. Like most of the world, I couldn’t turn away from the news. I took time off from work that week to volunteer at the Pentagon family assistance center, where I worked in the call center to help people locate missing family members. 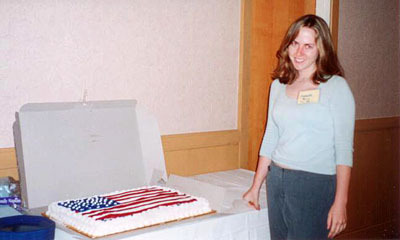 Someone had donated this American flag cake for the volunteers. I wasn’t sure if I should smile for the photo — this image makes me feel uncomfortable when I look at it. I spent a lot of time walking through Arlington and DC, taking photographs of candlelight vigils and the grief that was everywhere. Over the following weeks, the community grief managed to transform into patriotism as American flags appeared all over town. Someday I will scan in the photos I took during those months, to share them here. 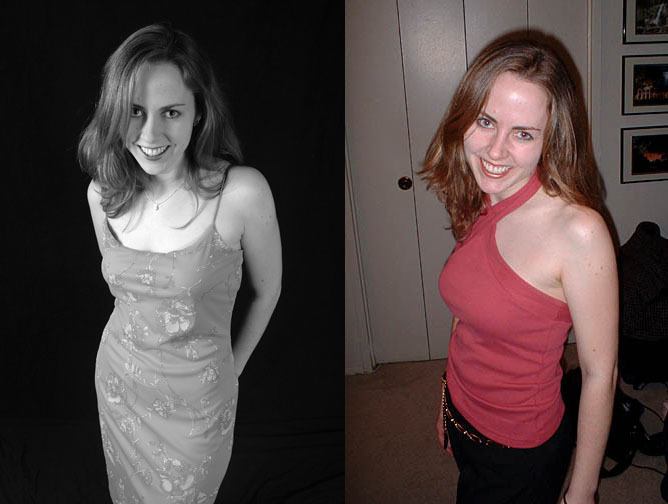 2002 was my year of weight loss and great parties. I single, in the best shape of my life, and having a wonderful time with my friends. This year turned out to be one of the greatest of my life. I had been single for a few years, and I got tired of collecting unused vacation time while waiting for someone to travel with. In early August, I packed my camera and took a solo vacation for the first time. 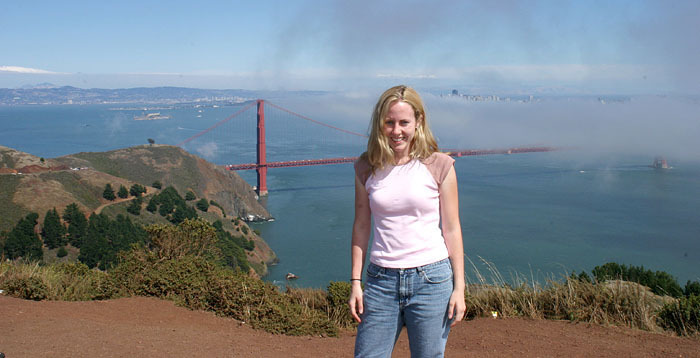 I went to San Francisco, where I spent my time doing only the things I wanted to do. I felt strong, independent, and truly happy. I finally accepted the fact that I didn’t need a man to be happy, nor did I particularly want one. I would never have guessed that my single life was about to end forever. On August 8, 2003, a day after I returned from San Francisco, I became an aunt. My brother and his wife brought beautiful Kenna into my life, and in the years to come she would be joined by her two brothers. Loving those children has been a highlight of my life ever since. On August 11, 2003, I started a new job in Maryland. The first person that I met on my first day at work was a cute engineer with an English accent. He had just returned from a trip to Australia, and instantly I was drawn to his interest in travel and photography and his cheerful sense of humor. I tried very hard to think of him only as a professional colleague.Six weeks later, Mike and I were a couple. In late October he told me that he loved me. In November we went on vacation to Colorado Springs. In December he took me to England to meet his parents. Life changed very quickly. I couldn’t stop smiling. Life changed even more in 2004. In March, I quit my job to pursue photography full time. 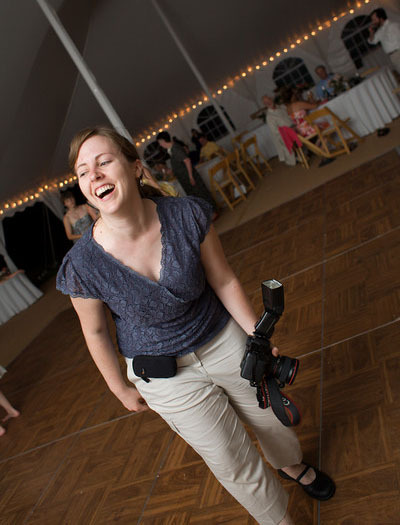 I had been photographing a few weddings each year, but Mike encouraged me to follow my passion. I’m still very grateful to him for that. Then life changed even more. In April, Mike and I went on a vacation with my parents to Santorini, Greece. It was perhaps the most beautiful and romantic place we’d ever seen. The time was right. Mike asked me to marry him. We were so happy. That summer, Mike was offered a job at a robotics engineering firm in Colorado Springs. 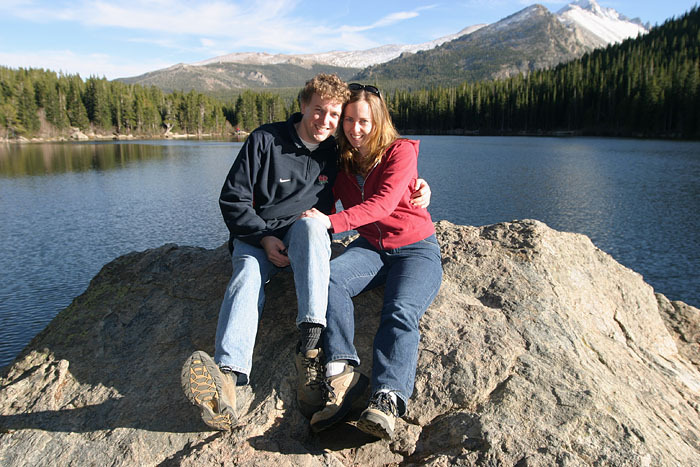 We figured that Colorado would be a more affordable place than DC for me to start my own business, and we liked the idea of an adventurous life in the Rocky Mountains. 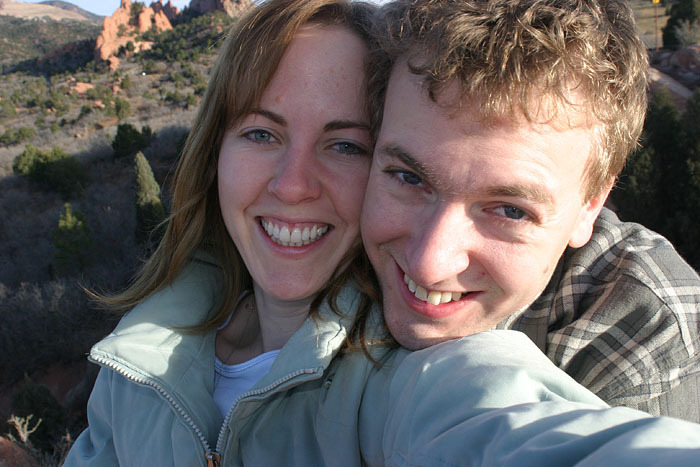 Eleven months after we started dating, we bought a house in Colorado and our Wild West adventures began. It was the year we got married. I will be celebrating 2005 for the rest of my life. 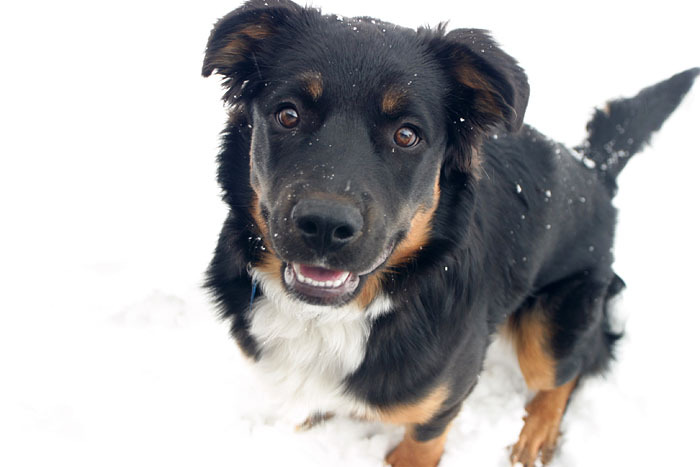 In January we met a sweet Aussie shepherd mix at the Colorado Springs Humane Society. We both loved her instantly. She had been in the animal shelter for several months and wouldn’t be allowed to stay much longer — our timing was perfect to save her precious life. Ally came home with us and has given and received constant love ever since. 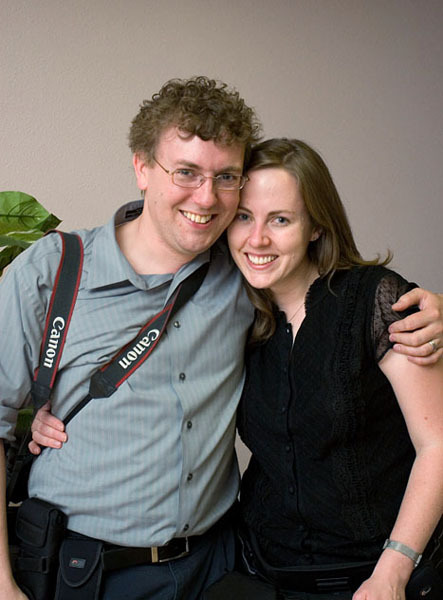 On July 30, 2005, Mike and I stood in front of our friends and family and promised our lives to each other. We got married in his beautiful home town of Wells, Somerset, England. Our wedding day was nothing I’d expected but everything ever wanted. I still look back on it as the best day of my life. We honeymooned in Italy. We spent two weeks in Venice, Milan, Pisa, Cinque Terra, Florence, and Rome. We ate too much, spent too much, and smiled a lot. I can’t wait to take another vacation like that. Life finally started to settle into place in 2006. In the spring time, we took another trip to Greece with my parents. This time we explored the mainland, including Athens and Delphi. That summer was a great success for my photography business, with a full schedule of weddings and portraits, and a series of awards for my photographs. Mike photographed most of the weddings with me, and was a huge help and a great talent. 2007 was a quiet year of work, visits with family, and Colorado road trips. Mike and I get season passes to most of the great resorts each year, but our favorite is Breckenridge. 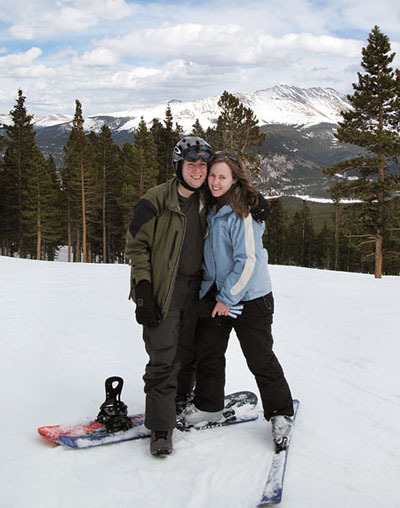 We skied as much as possible that year, and I finally got brave on the blue slopes. This is one of my favorite photos taken of me while working. I was very happily shooting a beach wedding in Jekyll Island, Georgia. I traveled out of state for work several times that year. 2008 was a year of travel. We got to visit lots of great places that year, including Tampa, Breckenridge, San Diego, Omaha, Corolla NC, Aspen, San Francisco, England, and Germany. I guess my life sounds glamorous when I describe it that way. It isn’t really, but I’m very grateful for any opportunity to see the world. 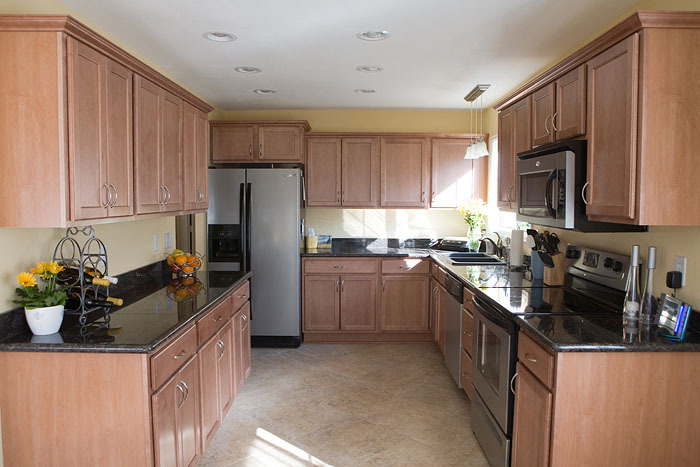 From a more domestic standpoint, 2008 was our opportunity to remodel our kitchen. We spent eight weeks living in our basement with a microwave while our entire kitchen was recreated from top to bottom. The long wait and endless dust made the final results even more exciting. The final year of the decade was tougher for a lot of people than it was for us, but still it wasn’t an easy time. The recession took its toll on the luxury industry of professional photography, so I had to work extra hard to keep my business thriving. My continual effort and innovation in marketing, pricing, and networking helped me to succeed when I could have struggled. Still it wasn’t easy. Another hurdle for me was a broken ankle that stole four months of my year. I broke it while jogging on January 5th, proving clearly that New Year’s resolutions must be avoided at all costs. My mother took this photo the day of my injury. I didn’t care about the ice on my ankle because I was surrounded by my dear niece and nephews. By April I had resumed normal life. We had a relatively quiet year, but managed to fit in some great trips. We took a spring time road trip with our dog to Virginia. In the summer we road tripped to Durango. In December we visited Edinburgh, Scotland, which was decorated for Christmas with a layer of snow. Clearly I have had a great decade, and I feel optimistic about the next one. My life is happy and full of gratitude. Still I want more in my life. By the end of the next decade, I hope that photos of the two of us will have become photos of the three of us, or perhaps the four or five of us. I can’t wait to see what happens. It’s a great thing to read so much about you. Very nicely put. It’s quite inspiring as well. this was such a great post! happy new year/decade! love it! what a great overview of your past 10 years! yay! happy new year! Wow, Christy, I’m so happy that I could help you make such wonderful changes in your life. But I don’t think I deserve the credit — that was all you, babe! I also love Greece…I’ve been twice myself…once in 2000 and again in 2002. Delphi is absolutely amazing…. Thanks for posting this – I loved reading it! I can’t believe you moved to CO with Mike after 11 months. That’s amazingly wonderfully sweet! Love. Just love. I teared up. I’m a mushy girl like that. I cry at every wedding I photograph too. 10 years ago, I was conducting my own botany research as a HS senior and college freshman. The game plan was to get the PhD, become a science researcher, and change the world. I was 6 months away from Paris, discovering art (photography), and changing the course of my life. I didn’t know any of the friends I love the most today. I’m living with my family again but it’s because I’m working on my (hopeful) doctorate in arts administration & art museum education. It’s pretty nifty. Great post! I envy you being able to travel and see the world. Fabulous entry, thanks for sharing! 🙂 I’ve been following you for a couple years now and it was neat to see what i remembered haha. And great to hear the story of you and Mike. What a fun post- it reminded me of just how long I’ve had the privilege of following your livejournal. What a wonderful decade you’ve had! I can’t wait to see what the next ten years hold for you! I really enjoyed your photo journey, thank you for sharing. This was so fun! I totally remember watching the kitchen remodel in progress. Thank you so much, again, for sharing your work and life with us! It’s really a highlight of the day/week for me when I get to read a new post from you! Thank you so much for sharing your decade. 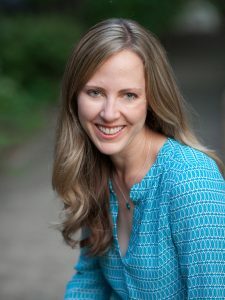 I created a post recently about all that had changed in my life in the past 10 years and it was surprisingly similar to yours. I’m a part-time photographer who has followed your blog and your work avidly for some time. I appreciate not only your craft but your spirit. I wish you a fabulous 2010 with your wonderful husband and a decade that increases your family size, as well as your happiness. Peace. what a great post! I love the old pics of you and learning how you met and fell in love with Mike and wound up in CO. I just wish that I knew you when you were back in Arlington! ahhh, so cute! I love this!